Computerized long-arm machine quilting. Also providing fabric, notions, batting, completed quilted projects and custom quilt. 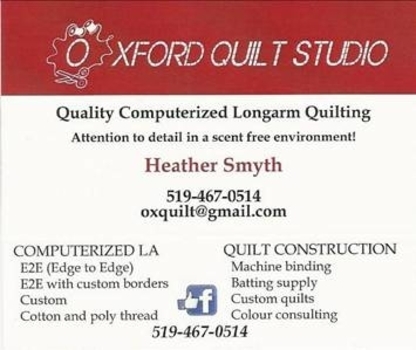 Canada's largest mail order craft catalogue has a retail outlet store... featuring yarn, needlework kits, quilting fabrics, beading supplies, kids crafts, and more.